Mohali, April 15: India pacer Mohammed Shami is in the form of his life and he wants to carry that into the World Cup beginning May 30 in the UK. "I am thankful to almighty Allah that I have got another chance to play in the World Cup for my country. I am in the best shape of my life, I am in good rhythm and I just want to carry this to the World Cup,” Shami, who turns out for IPL team Kings XI Punjab, said here on Tuesday. He said that he has been continuously working on his fitness. "I am feeling same rhythm I was feeling at the start (international debut in 2013),” he said after being named in the World Cup squad for the second time. "From players to coaching staff to management, everyone has backed me, now it is my turn to repay," the 28-year-old, who has 113 wickets from 63 ODIs, said. 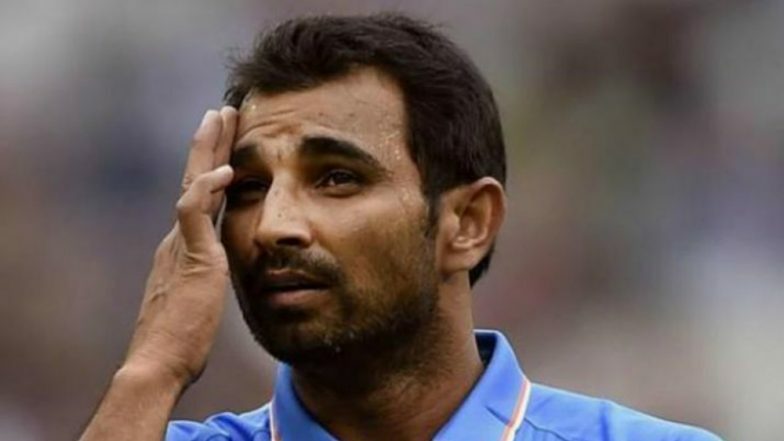 Mohammed Shami Breaks Irfan Pathan’s Record, Becomes Fastest Indian to Claim 100 Wickets in ODIs. The in-form Indian pacer also attributed his successful ODI comeback to his good Test performances over the last one year. "It has been a long journey. I played the 2015 World Cup, then got injured and it took me two years to recover. After the rehab, I made it to the 2016 World T20 squad. Then after a while, I got full confidence and felt like I was back on track. Rishabh Pant, Ambati Rayudu Not Part Of India Team For ICC Cricket World Cup 2019; Netizens Express Disappointment. "You saw in 2018, I played regular Test cricket. The confidence level is very high, I am bowling with the same speed that I used to earlier. Hope I can continue this,” he said. About Kings XI Punjab, who have won four of eight games played so far, Shami said the team has the ability to bounce back from back-to-back losses. “We bring the World to you" Disclaimer : This e-mail message may contain proprietary, confidential or legally privileged information for the sole use of the person or entity to whom this message was originally addressed. Please delete this e-mail, if it is not meant for you.